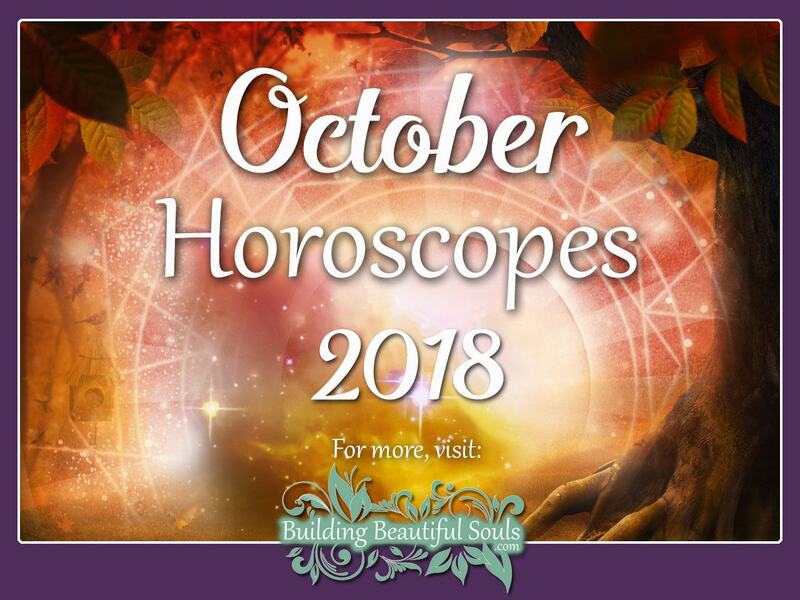 Welcome to the most in-depth monthly horoscope and astrology overview for October 2018! Make sure to bookmark us so you can come back throughout the month for a horoscope ‘check-up’. 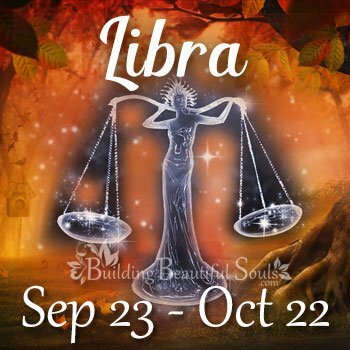 Since mid-September, we’ve been basking in the harmonious vibes of Libra. Our relationships and projects are put to the test to ensure everything returns to a state of balance. We continue the quest for personal peace at the beginning of October 2018. Friday, October 5th, Venus goes retrograde in Scorpio and remains so until November 16th. During this time, we’ll review our past and reassess what we value. It’s all so we can better shape the future. Now is the time to keep a firm focus on self-improvement and personal growth. Developing a new love or money matters should take center stage at this time. The new moon on October 8th may prove a tempting time to launch new projects. It’s a great time to draw up plans for our personal growth. October 9th, Mercury enters Scorpio, where the energies encourage us to explore our shadow nature. We must learn to embrace what we are afraid of just as we cling to what we wish to accomplish. We’ll have the ability to see through the subtleties of conversation when we’re talking with others. The Sun moves from Libra into Scorpio on the 23rd. The remainder of the month it does well to keep Scorpio’s motto in mind, “I desire.” Indeed, it’s a great time to pursue our short-term goals and highest aims. Then, on the 24th, the Moon moves into Taurus. We’ll crave comfort in the arms of a lover provides, or we’ll seek to comfort ourselves with “comfort foods,” a warm fuzzy blanket, and binge watching our favorite show on Netflix! The same day, Mercury moves through Sagittarius. It means we’ll demonstrate a clash between our what we say and what we do. Watch out for loss of control during communications. Others might not be truthful with us now. Aries finds themselves in a great mood on October 1st. It proves an excellent day for friendship and love. But, Aries finds intense comfort at home. Harmony remains strong through the week. The first week of October 2018 brings easy communications. It serves to extend as the source of feel-good vibes. In romance, Aries faces a mini-marathon of physical activity, especially on the 4th and 5th! Money matters become secondary in importance. In fact, any focus on money on the 5th only leads to headaches. With Venus in retrograde, the first week is ideal for all acts of self-love. Aries will have plenty of stamina to meet the demand. If seeking new employment, this is the week Aries will see success. The week of the 7th through the 13th carries promising energies for relationships. The same positive vibes flow into collaborative work efforts. The New Moon in Libra on the 8th shows a slow rise in tension. But, the energetic scales remain in a delicate balance: One always under the threat of change. By the 10th, the tensions reach their zenith. It’s a good time to use this energy to launch ambitious projects and to funnel the mild, restless energy. October 10th, Mercury enters Scorpio. It brings a day of many demands, all which leaves Aries stressing. It’s time to resist the urge to act out or to defy authority, even when you are in the right. Resistance only leads to more friction. It draws out the energies responsible for the stress. Lie low and go with the natural flow of the energetic tide. Use this week to focus forward; now, it is time to be rigorous pursuing goals. The week of the 14th-20th has high-stress days on the 18th and 19th. It’s a good thing fortune favors Aries. Communication snafus or relationship blunders are avoidable. The 15th-16th, Aries is in the social limelight, so appearances are everything. If you’re looking for a new love on the horizon, the 19th is the perfect day to explore the romantic horizons. This week the Sun enters the Sign of Scorpio on October 23rd; it’s a time to pull full attention on long-held dreams yet-to-be-fulfilled. The 21st-27th is a good week emotionally and energetically for Aries. High confidence reigns throughout the week. You’ll feel ambitious and as if you have enough energy to conquer the world. Your warrior nature kicks into high gear as does your focus on satiating carnal desires! The 23rd-27th are good luck days for romance. The Full Moon in Taurus energies lasting about 2 1/2 days gives you the prime opportunity to enjoy financial gains and success in love. The rest of the month begins with high stress but softens as we approach the final harvest of the year. The 28-29th has Aries feeling restless again. The pursuit of romance helps take the edge off Aries’ impatience. The best day for love is the 31st. Look for a treat from your lover instead of trick this Halloween! Healing Crystals & Stones: Aquamarine for October will help Aries tame their restless soul. Carry one as a talisman or wear it as an amulet when situations call for patience. 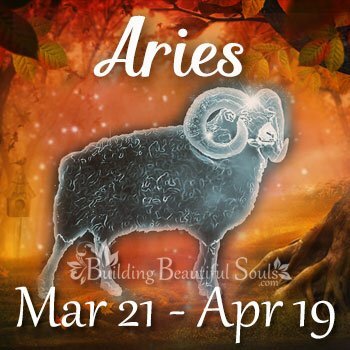 Get in-depth info about the Aries Man! Unravel the mystery of the Aries Woman! With Venus as your ruling planet, it’s best for Taureans to concentrate on day-to-day tasks: It’s pretty easy to get swept up in a wild romance. The good news is if Taurus is already in a relationship, all the days of October remain pretty harmonious. The same goes for business partnerships. Within social circles, Taurus might end up feeling like the Queen of the Ball. October 1 is an excellent day for focusing on money-making endeavors. If you’re thinking of launching a business, starting out on the first gets you off the ground with the cosmos backing your efforts. October 4th comes with a day that offers promising and unexpected opportunities in both business and love. Use these energetic “up” period to make the most of things. A romantic getaway planned for the first weekend in October proves successful. In matters of personal money and romance, Taurus doesn’t have to overcome inertia when the New Moon arrives on the 8th. Watch out for the 10th where someone’s competitiveness might get you irritated enough to see red Taurus. It’s a high-stress day, but Taurus is not one to cave easily. The 11th is a better day, and 12th through the 15th are big days for romance. Whether looking for love or already in love, Taurus is basking in the soft and fuzzy vibes. 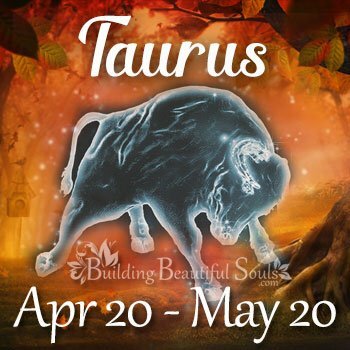 The 17th-19th has Taurus buzzing around the social circle. Whether hosting quaint get-togethers at home or out on the town, Taurus draws attention to themselves with all that natural charismatic, down-to-earth charm. The week of the 21st-27th will have Taurus thinking it’s Ground Hog’s Day all over again: It’s another week with lots of lovin’ and attention from the crowd. From the 24th’s Full Moon until the 26th, Taurus is lime-lighting it. The 27th-29 brings a focus back onto practical matters like money. This Halloween Taurus is a wee bit on the stressed side: It’s just their natural instincts sensing the energetic change the seasonal shift causes on the final harvest. Healing Crystals and Stones: If Taurus feels their sense of balance off this month, Selenite can help restore internal and emotional harmony. Get in-depth info about the Taurus Man! Unravel the mystery of the Taurus Woman! Have a Taurus Daughter or Son? Click to read all about the Taurus Child! October 1st Gemini brings in the month with a bang; They move in circles around all their friends at a party or outing, all the while dazzling them with their gift for gab. October 2nd-3rd are relatively good money days for Gemini, although the 2nd might come along with a bit of stress. Gemini will need to review the checkbook with greater care: It will take a bit of patience to spot the small error throwing off balance. On October 5th, numbers-savvy Gemini works wonders with their personal budget. Gemini will feel like the world is there Oyster quite often this month. High energetic days include the 3rd-6th, 11th-16th, the 18th-23rd, and the 28th-29th. But, Gemini gets a decent portion of high-stress days too, including the 2nd, 8th, 9th, 10th, 19th, and the 31st. It’s best if Gemini might find themselves going from hot to cold concerning mood. It’s sure to ripple effect negatively on relationships and business. The 15th has air-ruled Gemini’s head in the clouds over a passionate romance. Gemini turns their gift of gab into silvery pillow-talk and sweet flattery their sure to keep their lover tuning in for more. The weekend of the 20th Gemini’s personality really shines, whether at home with the family, or hanging with friends. 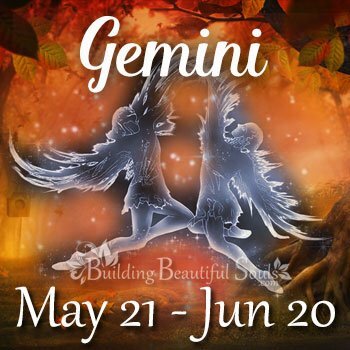 From the 21st-27th, Gemini’s back in the game as far as being involved in anything of a competitive nature. High stamina and drive reign supreme this week, especially the 21st-23rd and again on the 27th. The 29th when the Moon Enters Leo, Gemini feels like nothing can hold them back: all is well in money, love, and personal projects. Creativity flows. The 31st is an excellent opportunity for Gemini to express both sides of their twin nature with an awesome Halloween costume! Healing Crystals & Stones: To find the happy middle ground, extreme-prone Gemini can carry howlite this month. Get in-depth info about the Gemini Man! Unravel the mystery of the Gemini Woman! Have a Gemini Daughter or Son? Click to read all about the Gemini Child! Cancer expresses a love of sacred space with every little touch they put into the home through impeccable interior, styling, and design. However, October 5th through November 16th is no time for renovations. It’s better to have fun looking through paint and fabric swatches instead. So where should Cancer put their focus in October? From the 1st-31st, the month is fantastic for making friends, discovering romantic partners, and strengthening relationships. The autumn air breezes in carrying lots of love on its wings! Home loving Cancer can point their attention to the domestic side of life on the second week of October, with the New Moon ideal for home renovations starting on the 8th. October 10th and 10th also have Cancer stirring up the interior-design-creative-juices! Hosting a small gathering at home is one of Cancer’s favorite things to do and sure enough the 21st, 24th-26th, and the 29th-30th all over positive energies to ensure success. 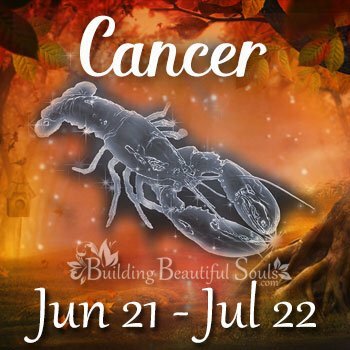 For those Cancerians not too shy to step out of their shell, the 2nd and 23rd are days to really shine. October 31st, Mercury enters Sagittarius having Cancer look to the world with an open mind and a desire for new discovery. That discovery might just be a tip leading to a financial boon as the same day is excellent for money ventures. Healing Crystals & Stones: If Cancer feels themselves slipping into the doldrums this month, carrying Jasper is not only the perfect autumnal color, but it will also lift the spirit. Get in-depth info about the Cancer Man! Unravel the mystery of the Cancer Woman! Have a Cancer Daughter or Son? Click to read all about the Cancer Child! October 5th brings Venus Retrograde. The period lasts 42 days: Right until mid-November. For Leo, love is in the air and love is everywhere! Leo will find romantic relationships easy to develop now. If Leo has been waiting to meet that special someone, there’s a higher likelihood of doing so in October 2018. Pursuits of all passions are the highlight of the season, so it’s time for Leo to let the inner artist explore new mediums. Draw, paint, or break out the adult coloring books! October 4th and 5th are easy-going days where Leo feels their future is as bright as their ruling planet. The 6th-7th are the best days for concentrating on financial conditions. Manifesting desires is more possible than ever on the 12th-14th. While the 25th-27th are this month’s best days for love. Neptune Retrograde influences Leo this month. The planet goes Direct on November 26th. The energetic influence has Leo shining a bright and unmistakably clear light on financial obligations. Debts left unpaid become the focus as Leo seeks to balance out finances. The entire month flows with ambitious energies, and a Leo knows just how to make the most of the period. Forging forward with a clear mind, Leo concentrates on mapping out the future. After reconciling the past and present, Leo runs headlong and confidently into their future! But, Leo won’t escape October without some mild challenges ahead. Difficulties arise during high-stress days from the 7th and the 11th, and the 21st-23rd. Limelight-loving Leo finds the 13th-15th, 25th-27th, and the 29th-30th days they can shine like the star they know they are! Healing Crystals & Stones: Sunstone is perfect for reminding Leo of their planetary influence. As a healing stone, it lets Leo tap into their personal power. 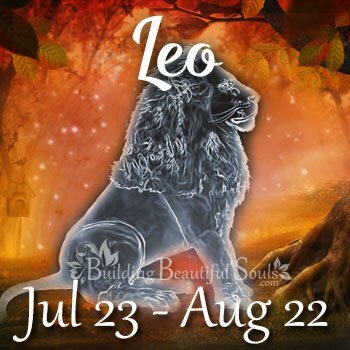 Click to learn all about Leo Traits, Personality, & Characteristics. Get in-depth info about the Leo Man! Unravel the mystery of the Leo Woman! Have a Leo Daughter or Son? Click to read all about the Leo Child! On October 5th, even if income slows down some, you’ll make things balance out nicely Virgo. 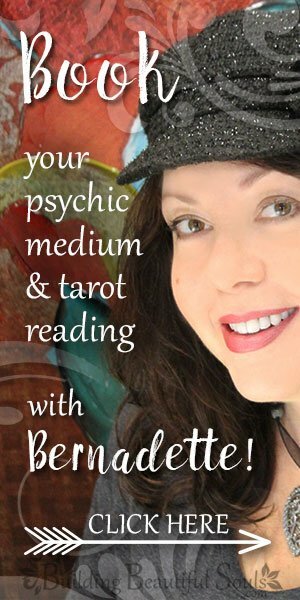 Your analytical mind will help you see your way clear through Venus Retrograde. October 1st Virgo finds themselves concerned about how others view them at work. A high-stress day follows on the 2nd, but Virgo finds some reprieve in matters of love on the 3rd and 4th. From the 3rd to the 6th, Virgo can enjoy attracting to them whatever they’ve wanted to manifest. The 7th, 10th, and 11th are days where Virgo puts a more significant focus on home life. It’s time for Virgo to buckle down and tackle the monthly chores list. It helps ensure the house is as pristine inside as a Virgo personality demands. If chores are all caught up, ambitious Virgos might find themselves rearranging furnishings or slapping on a fresh coat of paint to “perfect” the flawless appearance of one or more rooms. If Virgo has prior obligations, they can use the three-day stretch from the 25th to the 27th as alternative dates for home maintenance. Numbers-savvy Virgos consider financial investments and budget analysis with the arrival of the New Moon. The consummate perfectionist and seeker of all that’s sensible, Virgo finds Halloween a high-stress day. The commercialization of Halloween rubs Virgo the wrong way. Healing Crystals & Stones: Virgo can carry Tree Agate in October to help maintain a balance between cool intellectual and intense emotional communications. Get in-depth info about the Virgo Man! 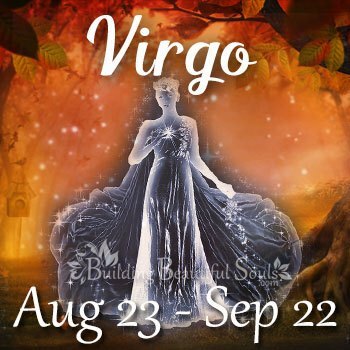 Unravel the mystery of the Virgo Woman! Have a Virgo Daughter or Son? Click to read all about the Virgo Child! The Venus Retrograde at the beginning of October will have Libra reviewing the condition of love relationships and their financial status. But, it’s not a time for Libra to make huge, life-altering changes. This period calls for Libra to lay low and to keep the big decision making about money and love until mid-November when the planet of love goes Direct. The 2nd-3rd of October, Libra’s walking on air and have chatting it up. But, it’s “Thank God It’s Friday” on the 4th, and Libra’s ready to be the life of the party! The 7th-20th, Libra finds harmony at work. Collaborative efforts are a breeze since Libra has no problem taking the lead or completing tasks. October’s New Moon supports the launch of new business endeavors or creative projects. The 9th continues to support Libra’s artistic drive. If thinking of making serious financial investments, the best days are the 10th-11th. Meanwhile, success in the romantic sector awaits on the 23rd and 26th of October. The Full Moon has Libra thinking about the final harvest, and the many blessings they’ve reaped this year. But the end of the month has Libra getting restless. The 29th-31st are high-stress days. Healing Crystals & Stones: Brown Tourmaline is perfect for Libra if they are feeling the rise of tension from the constant stress of remaining in careful balance. Get in-depth info about the Libra Man! Unravel the mystery of the Libra Woman! Have a Libra Daughter or Son? Click to read all about the Libra Child! From October 5th to November 16th, you need to be careful in handling romantic situations, Scorpio. If things haven’t been smooth in your love life, it’s no time to make big decisions about the status of your relationship. It’s better to treat a rocky relationship with tender-loving-care than it is to walk out now. Making rush judgments will only fill Scorpio with regret down the road. If looking for love, Scorpio would do well to wait it out a month before demanding a commitment. The best day for love or taking on a new romantic partner is October 23rd. The New Moon enters Libra on the 8th. It means harmony and balance in all business matters. The 12th-13th are superb days for level-headed Scorpio to make those financial investments they’ve been putting off until the right time. The planet of communication moves into Scorpio on the 9th, making the day fantastic for casual conversation, romantic talk, and creative expression. The 25th-30th are hot days for harvesting the opportunities awaiting on the horizon. Use your natural intuition to determine the best way to invest your money and time now. What resonates with you proves to be the best course of action. A focus on desires arises when the Sun transitions from Libra into Scorpio on October 24th. The 31st, Venus retrograde transitions into Libra. Those born under this sign would do well to keep all they do as simple as they can until the Sun moves into their sign; Once there, Scorpios can enjoy a heightened time of personal power. Healing Crystals & Stones: Rose Quartz will help Scorpio shine with confidence this month when they bask in the limelight. Get in-depth info about the Scorpio Man! 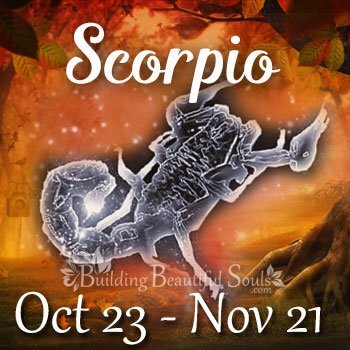 Unravel the mystery of the Scorpio Woman! Have a Scorpio Daughter or Son? Click to read all about the Scorpio Child! Sagittarius will find comfort in dealing with domestic matters and family the 4th and 5th of October. Family members are in a good mood so it might prove a good time if looking to mend fences or broken family bonds. If looking to plan a small family reunion before the real cold season hits, the weekend of the 12th-14th supports family bonding. The six weeks Venus goes retrograde from the 5th until mid-November, Sagittarius is wise to review the home budget to look for any potential over-spending. Doing so will help Sagittarius add a few extra dollars to this year’s funds for holiday shopping. Testing one’s relationship and considering ways of improving communication are tasks to focus on during October. Once mid-November hits, Sagittarius can put a plan in action to improve personal finance and love relationships. Sagittarius is feeling good for most the month, thanks to the harmonious Libra energies. It’s reasonably smooth sailing on a social and romantic level until October 23rd when the Sun moves into Scorpio. The first two weeks Sagittarius shines at work, so it’s a good time to ask about a raise. The 7th and the 12th are perfect days for impressing the boss or others in authority. The New Moon on October 8th is ideal for planning a little mini-adventure mid-week if you’re natural risk-taking nature needs fulfillment. For those seeking the right time for romantic outings, perfect date nights fall on the 15th, 28th, and 29th. Sagittarius will feel on top of the world toward the end of the month. Healing Crystals & Stones: Smokey Quartz is a beautiful grounding stone perfect for stabilizing energetic Sagittarius. 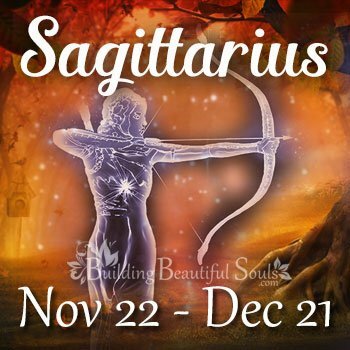 Get in-depth info about the Sagittarius Man! Unravel the mystery of the Sagittarius Woman! Have a Sagittarius Daughter or Son? Click to read all about the Sagittarius Child! The first week of October, Capricorn breezes through work tasks and, as a leader, they’ll excel at work. But, home life, love, and money are far more complicated matters. From October 5th until the 16th of next month, Venus goes retrograde. The planet rules of aesthetics, money, and love, all of which are areas Capricorn will want to review. A New Moon on the 8th promises fresh starts in creative pursuits, study, and career. Now is a time to tap into that creative muse. Capricorn might find great pleasure in working with a variety of artistic mediums now. Otherwise, creative energies can be put to best use at work while engaging in collaborative efforts. Analytically minded Capricorn should view each sector with new eyes on making romantic relationships, finances, and pursuits of interest better than ever. With a plan in hand, Capricorn will be ready the minute Venus goes Direct again on the 17th of November. Big decisions or life-altering actions are something to put off until the Sun enters Sagittarius around the 23rd of November. Risk-taking ventures prove more successful. Capricorn will find they have a higher level of stamina to meet the demands significant change requires. Romantic interludes on the 24th’s Full Moon leave Capricorn feeling like a smitten kitten. It’s a good time to consider everything one has accomplished this year. With a full understanding of achievements, Capricorn can plot out the steps to tie up loose ends and to accomplish dreams or goals not yet achieved. Healing Crystals & Stones: An amulet sporting hematite will help Capricorn keep their razor mind sharper than ever during October. Get in-depth info about the Capricorn Man! 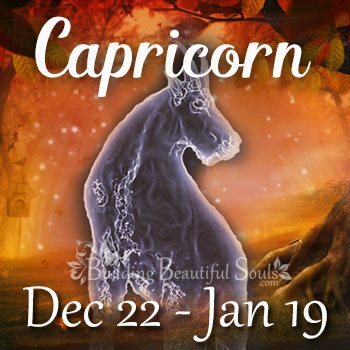 Unravel the mystery of the Capricorn Woman! Have a Capricorn Daughter or Son? Click to read all about the Capricorn Child! The retrograde of the planet of love from October 6 until the middle of the following month, Aquarius will want to examine each area of their life. It’s time to test one’s level of satisfaction with work, love, and personal pursuits. But, if Aquarius identifies areas in which one lacks true happiness, it’s a time to plan restorative measures, not implement them. This gives Aquarius a full six weeks to incubate on ideas before acting. If Aquarius is planning any changes as far as the cosmetics, they wear, or the hairstyle they have, it’s better to do so in November. It will help in avoiding bad hairstyle choices, or it will prevent Aquarius from buying makeup that clashes with their wardrobe. Shopping and finding terrific deals are an endeavor Aquarius can enjoy the first half of the month. Meditation helps the Aquarian personality remain grounded and focused. If new to meditation, a long drive through New England to view the leaves changing color is just like driving through an autumnal land of wonder. Use the third week of October to declutter your work desk or to rearrange your furnishings in the home. A pre-winter clean out of your closets will give Aquarius more room to hide all those Christmas gifts! Peace of mind is easy to establish when the Sun is in Libra. Aquarius would do well to use this time of reflection as a period of rest. Once the Sun moves into Scorpio, rapid growth, expansion, and desires are November’s highlights. Now’s the time to bank some excess energy. It will help ready Capricorn for tackling work and love-related issues head-on once the energetic opportunity arises. Healing Crystals & Stones: Apatite will help Aquarius keep their nose to the grindstone and their eye on important short and long-term goals in October. 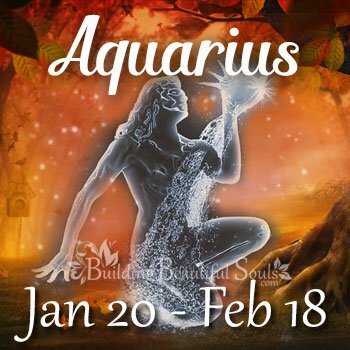 Get in-depth info about the Aquarius Man! Unravel the mystery of the Aquarius Woman! In early October, Venus retrograde makes Pisces’ want to run from a bland romance. It’s best to avoid making any quick or permanent decisions until mid-November. Instead, rethink the relationship and create an “out” plan. The New Moon promises excellent support for partnerships and business. It’s a day of fresh starts, so don’t be surprised if a romantic connection from your past resurrects itself this week. Be careful not to jump in with both feet. While it might be tempting to give that old fling a second go at it, you might be moving too fast. Make sure you’re not falling for the honeymoon phase accompanying a resurrected love connection. You don’t want to finish off the rest of the month miserable because you’ve stripped off the rose-colored glasses and found you’ve made a relationship blunder! Put it into action on the 17th of November if still feeling the same way about the situation. Use the six-week retrograde period to reflect on the issue at hand. See October as a month to cleanse away negative emotions. It’s time to get back on track by taking the first step of identifying precisely what you don’t want in your life anymore. The last two weeks of the month prove challenging for introverted Pisces to communicate with others. The energies will call you to come out of your hiding place and into the limelight. Use the time to get used to the chance to speak what is really on your mind. Healing Crystals & Stones: Labradorite will keep Pisces’ focused and constructive. It will also help them tap into the higher consciousness through dream messages. Get in-depth info about the Pisces Man! Unravel the mystery of the Pisces Woman! Have a Pisces Daughter or Son? 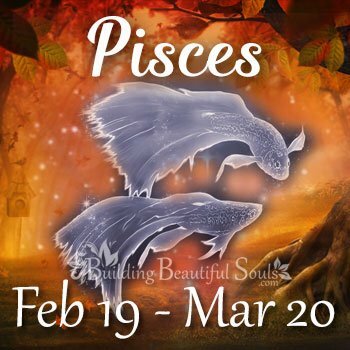 Click to read all about the Pisces Child!